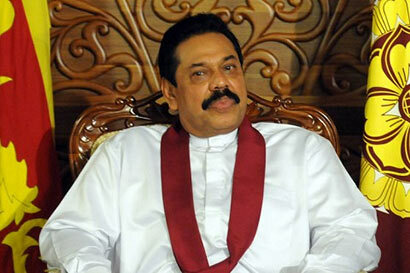 It is with great devotion that we, the Buddhists of Sri Lanka, celebrate this Poson festival that marks the arrival of Arahath Mahinda with the message of Buddhism to our country, states President Mahinda Rajapaksa in a Poson message. The message added: “This great message of Buddhism that was brought to our land more than 2,250 years ago was the foundation for the culture and way of life of our people. It is the teachings of Buddhism that built our thinking on respect for and sustenance of the lives of humans and all other living species, as well as all vegetation, land and water resources. Further, this led to our nation earning the respect and friendship of other nations and faiths for our qualities of patience, compassion and love. “Even today we are on the correct path as we earnestly believe that there is no other path to build the country other than the teachings of the Buddha brought to us by Arahath Mahinda. Therefore, it has been possible to build a society free of anger and hatred, that is enriched with love and kindness. Hence, the tolerance and respect for other opinions further strengthens the spirit of coexistence amongst us. The need for rational thinking exhorted by Arahath Mahinda that was accepted with veneration by our people is a great source of strength to us. “The fame of him who strives (after perfection), is mindful, is pure in deed, considerate, is restrained, righteous and heedful, spreads far and wise”. “We should therefore, as true Buddhists, strive to improve our spiritual and social lives through good thinking and action. This is the greatest tribute we can pay to the memory of Arahath Mahinda in this Poson season as the nation that has protected Buddhism through more than two millennia.